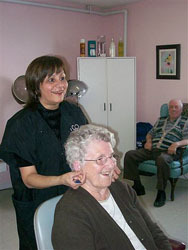 Treat yourself and enjoy the added convenience of our onsite hair salon and visiting nail care and foot care services. Services are available to residents and visiting community members by appointment. To book an appointment please call 705-722-5750.